L.A. Is a strange town on the best of days, but in the summer of 1974, the City of Angels feels especially demonic. As temperatures soar and wildfires burn, all sorts of strange creatures are drawn to town, including Vampirella. While Vampi goes out and hunts down monsters all across La La Land - defending humanity from evil - she's also killing it every night on stage as a member of the all-girl rock group Witchkraft - defending rock 'n' roll from a dying scene. Help arrives in the form of four creatures who've just flown into town: The Starchild, The Demon, The Spaceman and The Catman. Away from their home turf and trying to record their new album, KISS discovers that all their favorite L.A. bands have mysteriously broken up, disappeared, sold out, or gone crazy. 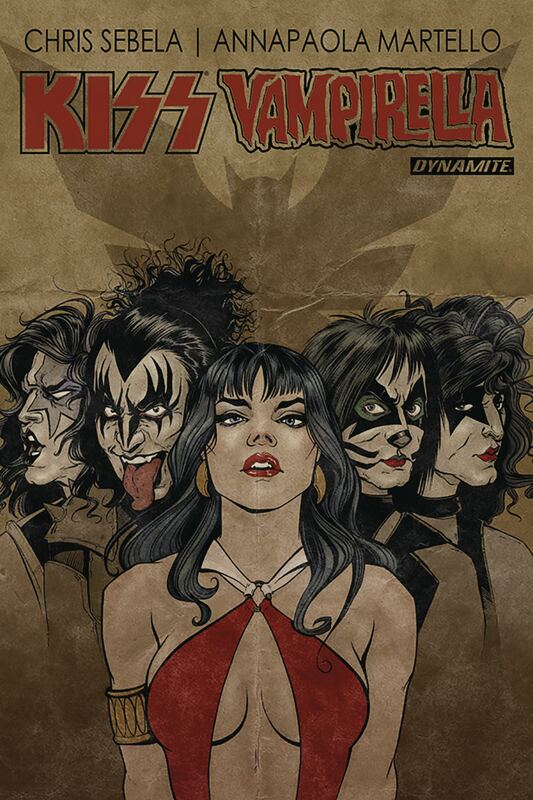 Led by a driver who moonlights in the occult and haunted by satanic strangers dressed in black, KISS finds themselves drawn into a web conspiracy that threatens to kill rock 'n' roll itself.